Eight people were injured when a second-story balcony collapsed during a 4th of July party in Neptune Florida. Already, fingers are pointing at the landlord. But the landlord may not be the only one to blame. Witnesses and the police say as many as 50 people may have been on the balcony before it gave way. And those guests weren’t just standing around — neighbors say people were jumping up and down before the accident. Undoubtedly, there will be a thorough inspection of the property to determine if neglect played a role in the structural failure. News reports indicate the tenants claim they had complained about the condition of the balcony before the accident. At the same time, investigators will consider to what extent, if any, the tenants’ party is to blame. 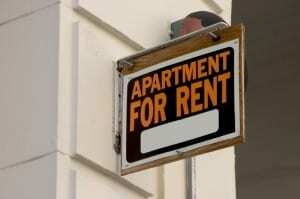 While the insurance carriers may want to compare the role of landlord vs. tenant, that distinction may not matter much to the victims. There’s already talk of possible lawsuits. Ã‚ It’s just as easy to sue both the landlord and the tenant for negligence, and asked a jury to sort it out. And that’s where a case like this can get interesting. If this were to go to trial for negligence, the jury wouldn’t just assess the fault of the tenants and the landlord. Chances are, a jury would also consider whether any of the victims are to blame for the extra strain on the building. If there’s a lesson to be learned here, it would be that hindsight is 20/20. Avoiding this kind of liability requires a proactive strategy, like stuffing your lease with protections. You can spell out occupancy limits for tenants when a property has balcony spaces, or ask your tenants to carry renters insurance to cover claims of negligence brought by their guests. It’s also important to include provisions to keep the damper on otherwise rowdy parties. Review your insurance policy to see if you have adequate coverage. Buy property insurance from an agent that you know is looking out for you — the right agent can make all the difference between financial security, and disaster. It likely will be months perhaps even years before this particular case is fully resolved. But if you’re interested in protecting your rental property, there’s no time like the present.